RCB has always been a team with big superstars like Chris Gayle, Ab de Villiers, Virat Kohli, Yuvraj Singh, Shane Watson, Rahul Dravid, Jacque Kallis and many more. Yet RCB has not won a single trophy in 12 years. The major reason for their failure is they do not have consistent players except Virat and AB. Until 2018, they had worst bowling lineup. Can you imagine that the prime bowler of a team is Aniket Chaudhary and Shreenath Aravind? Others team have 5 best bowlers to bowl 20 overs but RCB had only one or two good bowlers and other were as if they bowl just to finish 20 overs quota. But in 2018, they came up with a good strategy of buying quality bowlers but once again one problem haunted them. It’s their over reliance on Virat and AB in batting. Eventhough their bowling wasn’t fantastic, they were quite decent than previous years. Inability of Chahal to pick up early wickets is where they are lacking. Umesh Yadav was a go-to man of Virat to take wickets unlike Chahal. Chahal isn’t the same spinner which we used to see previously. He doesn’t bowl much googly like other leggies ( Rashid, Mujeeb, S.Lamichhane, Markhande). He should bring varieties in his bowling so that he can pick up crucial wickets when needed. Now let’s look at the players which RCB needed desperately this season. RCB must buy either of them which will solve the biggest problem of RCB. We have seen before that while chasing, if virat and Ab are dismissed early then there is no hope of winning that match. That is because of their unstable middle order. 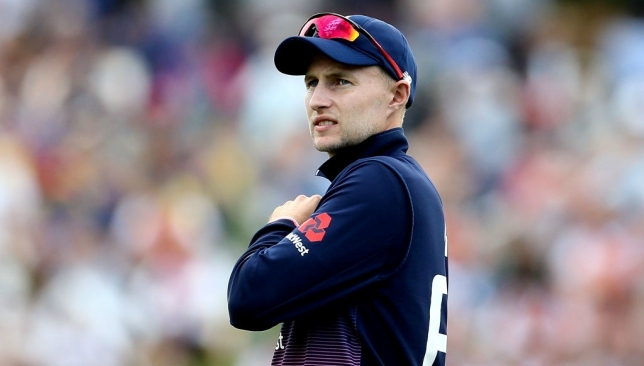 If joe root comes then he can anchor the innings and provide the stability needed. He should play at no. 3 position and AB at 4. This will allow Virat kohli to play without pressure at the top and we know what he is capable of if he takes some time to settle. If Root is bought then they also have to buy Wriddhiman Saha to have at least two wicketkeeper in their squad. And if Johny Bairstow is bought instead of Joe root then RCB will have an extra wicketkeeper which they must acquire. Bairstow has been elected man of the match in recent test match of Eng vs Srilanka. He showed his batting prowess in subcontinent too. He is also like Root who will play at no. 3 and provide stability in middle order. I hope RCB will acquire either of them and if they do not then their history of middle order collapse will repeat again. He is not the Indian legend Zaheer khan. He is a young sensation, leg spinner from Afghanistan whom RCB must acquire him in this auction. We have seen Rashid and Mujeeb ( both afghanistani leg spinner) taking crucial wickets in middle overs and turning the game around for their team. As I have previously mentioned that Chahal is not the same wicket taking bowler so that job can be done by zahir khan. Zahir has been impressive in Afghanistan Premier leagie as well as other T20 leagues. So he should be in priority list of RCB during auction. One of the underrated spinner, Axar Patel is the third playet to make name in this list. He has performed consistently for KXIP for the past 4 years. On his 73 IPL matches he has taken 69 wickets. He was the man who performed for KXIP when they were in need. The major reason why KXIP releases hik is because of his huge tag price of 12 cr as he was the only retention of KXIP ik 2018. KXIP cannot afford giving 12 cr to him and also with R.Ashwin and Mujeeb Zadran in the team, his need is not felt in the team which is another reason of his release. Here comes the opportunity for RCB to acquire services of this young but experienced left arm off spinner. He is only 24 year old and since Sundar failed to perform last year, they can acquire Axar Patel. He will be a handy spinner as well as a decent lower order batsman. He can solve RCB woes with his brilliant batting and bowling. This was my opinion based on the team requirement and if you have any feel free to let me know about that.